Jason back with another installment of Did You Know Orlando! This installment brings some history to the front! 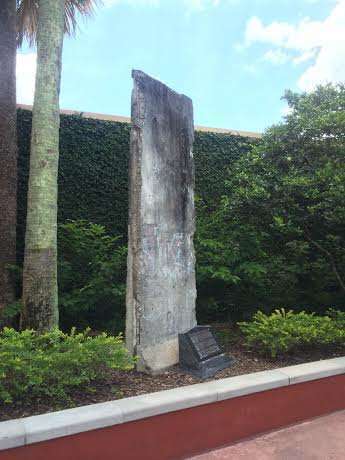 Did you know Orlando has a piece of history tucked away at the back of the Hard Rock Cafe at City Walk? Beside the back entrance to the Hard Rock stands a piece of history. The iconic Hard Rock has an actual piece of the Berlin Wall. Next time you are over at City Walk, walk to the back side of the cafe and check it out! Pretty cool! Do you have a Did You Know that you want to showcase? Send an email to Jason@OrlandoFunandFood.com, and I will showcase it for you! Ill even give you a shout out! Thanks again!